Offshore wind is set to become the UK’s second largest source of energy in the next couple of years, overtaking nuclear and catching up to gas. In 2018 wind accounted for 17.4% of the UK’s energy mix and we now have the highest installed capacity of offshore wind of any country in the world. The UK’s capacity is set to skyrocket in the next 15 years, from 6.4GW today to at least 35GW by 2032. This rapid expansion means a huge number of people are needed to work at all levels of the supply chain, from surveying, manufacturing, engineering, IT, admin and more. A recent report by the Energy and Utility Skills group estimates that there will need to be 36,000 people employed in offshore wind by 2032 – 260% more than in 2018. The majority of the roles will be in regions along the east coast, to serve the new offshore arrays in the North Sea, with East Anglia, Lincolnshire, Yorkshire and Scotland particularly set to benefit. As well as the new positions created by the growing industry, shifting demographics will create jobs too. The Energy Utilities Skills report estimates that in the next five years, across the energy sector 600,000 positions will need replacing due to retirements over the next five years to 2024. 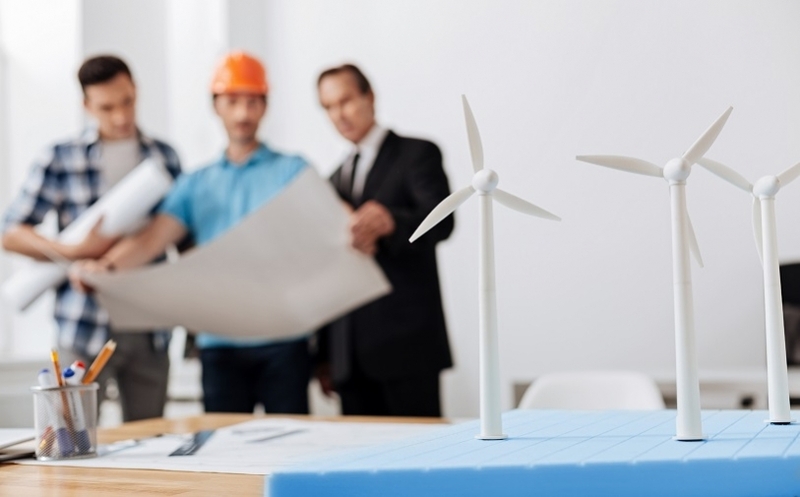 The energy industry, and in particular the wind sector, need to produce and promote initiatives to school leavers and students, to encourage them into a career in the industry. The number of students studying relevant STEM subjects at A Level and University level in the UK is not enough to reach demand, while analysis of current Apprenticeships relevant to the industry also shows a shortfall. As well as encouraging young people to begin their careers in offshore wind, more can be done to promote the industry to people currently working in sectors with transferable skills. Those currently employed in other sectors of the energy industry are obvious areas of potential recruitment, especially as reliance and production of fossil fuels reduces. Ex-military personnel are often targeted by the energy industry, due to the high number of transferable skills between many positions across the sectors. Around 14,000 personnel leave the armed forces each year, and this area has long been a good resource for recruitment in leadership and engineering roles in the energy industry. However, the Armed Forces is currently facing a shortfall in regulars and has announced skills shortages across more than 100 trades, particularly in intelligence and engineering roles. A report last year by the Commons Committee of Public Accounts suggests that it could take until 2024 to fill the current shortfall in the Armed Forces, with inconclusive governmental advice as to how to improve rather than exacerbate the current problem. Skills shortages in rival sectors and high employment rates in the UK are creating a huge need for training programmes and take up of STEM subjects in further education. Encouraging the next generation to consider a career in offshore wind will not only keep the UK at the forefront of the sector, but enable a skilled, healthy workforce for many years to come.